This List of cultural icons of Scotland is a list of objects, topics or people identified as cultural icons of Scotland. Hadrian's Wall - often used as a metaphor, but none of which is actually in Scotland. ^ "Scotland Outdoors Articles - Scotland's Wildlife: Capercaillie". BBC. Retrieved 2017-02-22. ^ "Scotland Outdoors Articles - Scotland's Wildlife: Osprey". BBC. Retrieved 2017-02-22. ^ "Scotland Outdoors Articles - Scotland's Wildlife: Red Deer". BBC. Retrieved 2017-02-22. ^ a b "Scotland Outdoors Articles - Royal Highland Show". BBC. Retrieved 2017-02-22. ^ "Scotland Outdoors Articles - Scotland's Wildlife: Red Squirrel". BBC. Retrieved 2017-02-22. ^ "Scotland Outdoors Articles - Scotland's Wildlife: Wildcat". BBC. Retrieved 2017-02-22. ^ a b "UK | Scotland | South of Scotland | Italy's little slice of Scotland". BBC News. 2006-07-25. Retrieved 2017-02-22. ^ "UK | Scotland | Glasgow and West | Mackintosh visit figures unveiled". BBC News. 2006-12-12. Retrieved 2017-02-22. ^ "UK | Scotland | Glasgow, Lanarkshire and West | New sculpture for Glasgow Harbour". BBC News. 2008-05-21. Retrieved 2017-02-22. ^ "UK | Scotland | Tayside and Central | Horse sculptures to boost tourism". BBC News. 2007-04-26. Retrieved 2017-02-22. ^ "UK | Scotland | Royal aide is shot at Balmoral". BBC News. 2004-12-08. Retrieved 2017-02-22. ^ "CBBC Newsround | UK | JK writes Potter note on statue". BBC News. Retrieved 2017-02-22. ^ "UK | Scotland | Highlands and Islands | Digging deep into Caithness' past". BBC News. 2006-06-25. Retrieved 2017-02-22. ^ "UK | Scotland | Row over £10m tunnel bill". BBC News. 2003-10-13. Retrieved 2017-02-22. ^ "UK | Scotland | Edinburgh, East and Fife | Castle is modern map 'birthplace'". BBC News. 2008-01-16. Retrieved 2017-02-22. ^ "Falkirk Wheel and the Antonine Wall, Falkirk | Travel". The Guardian. Retrieved 2017-02-22. ^ "UK | Scotland | SECC unveils new £62m arena plan". BBC News. 2005-10-27. Retrieved 2017-02-22. ^ "UK | Clan takes the high road to the Internet". BBC News. 1999-01-18. Retrieved 2017-02-22. ^ "UK | Scotland | Sporran wearers may need licence". BBC News. 2007-06-24. Retrieved 2017-02-22. 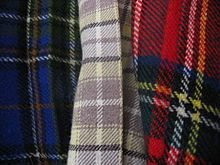 ^ "British Style Genius - Country Style - Tartan". BBC. 1970-01-01. Retrieved 2017-02-22. ^ "UK | Scotland | Royals attend Highland event". BBC News. 2002-09-07. Retrieved 2017-02-22. ^ "Robert Burns". BBC. 1970-01-01. Retrieved 2017-02-22. ^ "CBBC Newsround | Teachers | Literacy | Text | Burns' Night and dialect". BBC News. Retrieved 2017-02-22. ^ "BBC at the Edinburgh Festivals". BBC. Retrieved 2017-02-22. ^ a b "UK | Scotland | Glasgow, Lanarkshire and West | Edinburgh Tattoo takes on Glasgow". BBC News. 2008-08-05. Retrieved 2017-02-22. ^ "The Fringe - Did all this really happen? - The Scotsman". Thescotsman.scotsman.com. 2008-09-08. Retrieved 2017-02-22. ^ "Fringe spent £100,000 trying to fix ticket chaos - The Scotsman". Thescotsman.scotsman.com. Retrieved 2017-02-22. ^ "Religions - Christianity: Saint Andrew". BBC. Retrieved 2017-02-22. ^ "UK | Scotland | Highlands and Islands | New clues to mystery sea monster". BBC News. 2008-09-03. Retrieved 2017-02-22. ^ "UK | Scotland | Tayside and Central | Scot claims haggis eating crown". BBC News. 2008-08-30. Retrieved 2017-02-22. ^ "How the world fell in love with whisky". The Guardian. 2011-04-15. ^ "Scottish Recipes - Selkirk Bannock". Rampantscotland.com. Retrieved 2017-02-22. ^ "Special Report | 1999 | 06/99 | Scottish Parliament opening | Countdown to the official opening". BBC News. 1999-07-01. Retrieved 2017-02-22. ^ "UK | Scotland | Tayside and Central | MSPs called to support Roman wall". BBC News. 2007-05-23. Retrieved 2017-02-22. ^ "History - Scottish History". BBC. 2014-09-19. Retrieved 2017-02-22. ^ "UK | Scotland | Tayside and Central | Call to protect Bannockburn site". BBC News. 2008-09-08. Retrieved 2017-02-22. ^ British Broadcasting Corporation (2014-09-19). "History - Scottish History". BBC. Retrieved 2017-02-22. ^ a b c d "11 September in Scottish History". BBC. 1999-07-01. Retrieved 2017-02-22. ^ "Cumbria - Coast - Stage 2 - The Beacon and John Paul Jones". BBC. 2014-10-28. Retrieved 2017-02-22. ^ "13 February in Scottish History". BBC. 2014-10-29. Retrieved 2017-02-22. ^ "UK | Scotland | Tayside and Central | Teams search for Rob Roy's house". BBC News. 2007-04-12. Retrieved 2017-02-22. ^ "History - Robert the Bruce". BBC. 1970-01-01. Retrieved 2017-02-22. ^ "UK | Scotland | Glasgow, Lanarkshire and West | Contest to find oldest television". BBC News. 2008-10-03. Retrieved 2017-02-22. ^ "GCSE Bitesize - History". BBC. 1970-01-01. Retrieved 2017-02-22. ^ "History - James Watt". BBC. 1970-01-01. Retrieved 2017-02-22. ^ "Robert Burns - Readers". BBC. 1970-01-01. Retrieved 2017-02-22. ^ "UK | Scotland | Oor Wullie is top Scottish icon". BBC News. 2004-04-05. Retrieved 2017-02-22. ^ "On This Day in Scottish History". BBC. 2014-10-17. Retrieved 2017-02-22. ^ "26 November in Scottish History". BBC. 1917-11-26. Retrieved 2017-02-22. ^ "04 April in Scottish History". BBC. 2014-10-29. Retrieved 2017-02-22. ^ "Scotland's History - Calls for Home Rule". BBC. Retrieved 2017-02-22. ^ "SCOTLAND | Royal couple appear together". BBC News. 2001-07-04. Retrieved 2017-02-22. ^ "UK | Scotland | Scots Lords receive top honour". BBC News. 2004-12-01. Retrieved 2017-02-22. ^ "UK | Scotland | Highlands and Islands | Dalglish tees off revamped course". BBC News. 2008-08-22. Retrieved 2017-02-22. ^ Lonach Gathering. "North East Scotland, Orkney & Shetland - People & Places - Lonach Gathering". BBC. Retrieved 2017-02-22. ^ "A Sporting Nation - Eric Liddell". BBC. Retrieved 2017-02-22. ^ "UK | Scotland | Tartan Army dreams of Euro 2016". BBC News. 2007-05-18. Retrieved 2017-02-22. ^ "UK | Scotland | Sir Sean Connery signs book deal". BBC News. 2006-07-06. Retrieved 2017-02-22. ^ Crowther, Jane (2001-09-07). "Films -article article - Ewan McGregor - Career Profile". BBC. Retrieved 2017-02-22. ^ Mike Lloyd (2004-07-31). "UK | Scotland | New role for Para Handy 'puffer'". BBC News. Retrieved 2017-02-22. ^ "Scotland Television - Still Game". BBC. 2014-10-17. Retrieved 2017-02-22. ^ "1953: Queen launches Royal Yacht Britannia". BBC News. 16 April 1953. Retrieved 7 June 2009. ^ Kit Fraser (4 September 2008). "Calls for end to ferry monopoly". BBC News. Retrieved 7 June 2009. ^ "Restoring the Cutty Sark". BBC London. Retrieved 7 June 2009. ^ "Cutty Sark is saved by £3.3m gift". BBC News. 24 June 2008. Retrieved 7 June 2009. ^ James Cook (10 July 2001). "Rough times for Clyde workforce". BBC News. Retrieved 7 June 2009. This page was last edited on 13 April 2019, at 15:25 (UTC).